A piece of happy news to share! I was approached by a local newspaper (The Straits Times) for an interview about AiClay and the craft behind it about a week ago. A few days later, they sent over a photographer for a photoshoot at my house. And today, the article (which also features other local crafters) would finally be published in the newspaper! Hopefully you'll like my works enough to come back a second time! I would also like to catch up on the backlog of photos I have from 2011, all the better to start this year afresh! 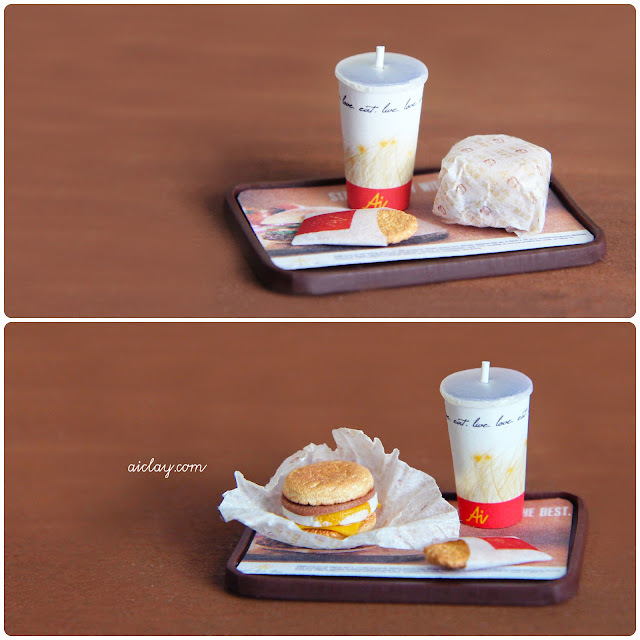 A miniature fast food breakfast set - hashbrown, egg-muffin and a drink, all on a tray. All miniature packaging was also designed and handmade by me. 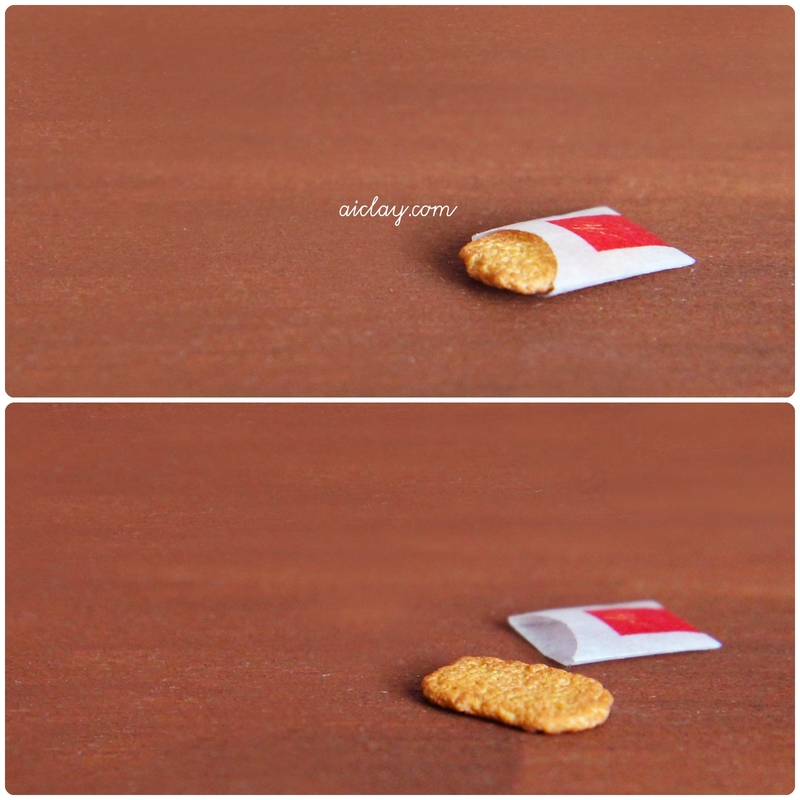 A closer look at the miniature hash-brown. A giant chocolate chunk cookie ring - this is available in the store. Miniature cookie is handsculpted by me and is perched on an adjustable, surgical stainless steel ring. It would fit all ring sizes. 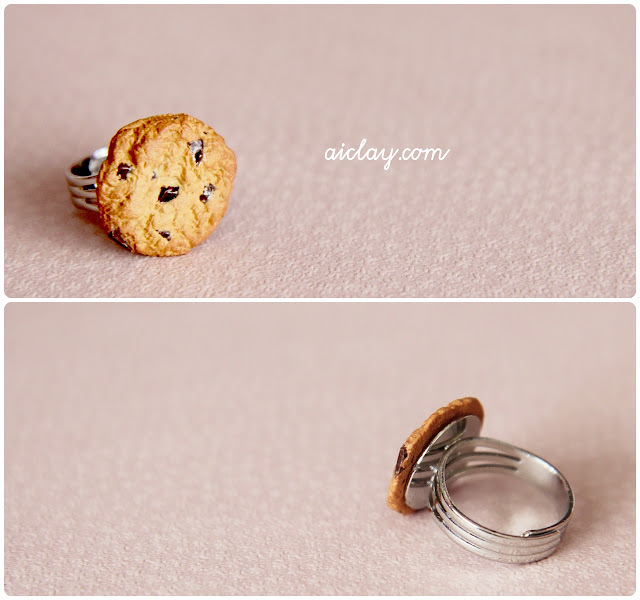 If you know a friend/mother/daughter/wife who is a true cookie monster at heart, this ring is definitely for them. I have made one for myself which I love to wear out, and it makes me smile everytime I look at it. Enough backtracking of photos for now, till next time! ♥ Enjoy your weekend! Hello!! I was really glad (and surprised) to see you in the papers today! :D Jiayou! WOW!! Congrats on your interview! Your work is amazing! Love the cookie and the cute burger!